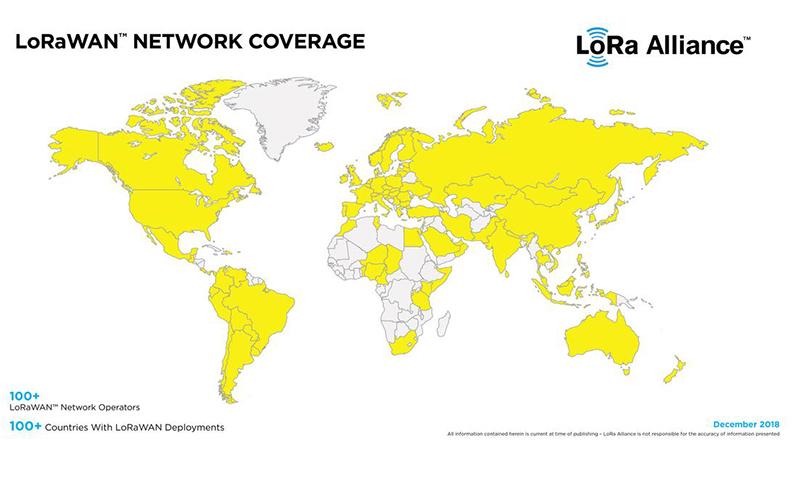 The global association of companies backing the open LoRaWAN protocol for the Internet of Things (IoT) low-power wide-area networks (LPWANs), the LoRa Alliance, has announced that it experienced explosive growth in 2018, exceeding the 100 LoRaWAN network operators milestone globally at the end of December. Among other, Ronan Le Bras, Head of Technical Strategy, Wireless Networks; Orange, commented: “Orange is pleased to see the growth of the LoRaWAN ecosystem and the adoption of this open and interoperable standard in all parts of the world. Orange selected LoRaWAN for its first network dedicated to the IoT in 2016 to address sensors and other affordable objects consuming little energy.